If you’ve ever turned on your television or turned on the radio, I’ll bet you are familiar with Insurance King commercials. They are full of hilarious celebrity impressions and maybe you’ve seen some of the latest commercials starring the one and only, Dustin Diamond. One of our favorites is the “Dustin Diamond Gets a Date Online” commercials. You may have noticed the newspaper he’s holding in the commercial. 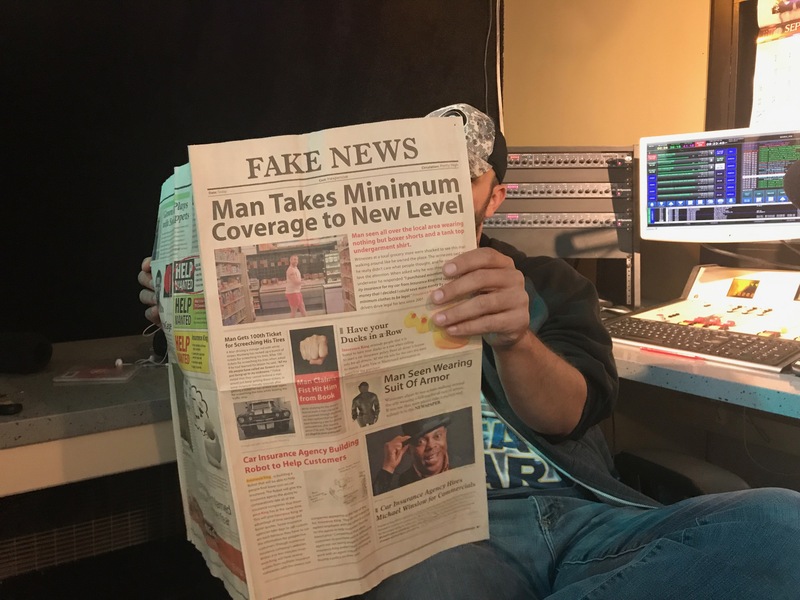 Here’s a little behind the scenes extra… did you know that the newspaper is printed with funny blurbs about the upcoming or already made commercials?! Wait a minute, did Dustin Diamond just say what we think he just said? YOU have the opportunity to go behind the scenes at a filming of a commercial with DUSTIN!? How freaking cool is that. To enter Insurance King’s contest, simply follow his instructions. All of the specifics can be found on Insurance King’s Facebook. There ya have it! If you happen to win the Insurance King Contest, can you take Kev and I with you?